BERMAD A10 is a high quality automatic air release valve that allows efficient release of air pockets from pressurized pipelines. With its advanced design and automatic orifice, this valve provides excellent protection against air accumulation with improved sealing in low pressure conditions. Factory approval and Quality Control – Performance and specification tested and measured with specialized test bench. 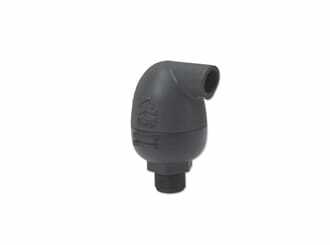 Irrigation Control Heads – Protection against air accumulation at filtration and fertilization stations and downstream of main control valves. Infield Systems – Protection against air accumulation near water meters and automatic regulators. Landscape Irrigation – Protection against air accumulation.